Last week Samantha and I attended a screening of the documentary, Iris. Before I start telling you all about the documentary, I need to tell you that Iris is my idol (her arm parties are seriously out of this world). This woman has had an amazing life and continues to do so still at the age of 93! She has accomplished so much in her life, is still working and appreciating/loving life. 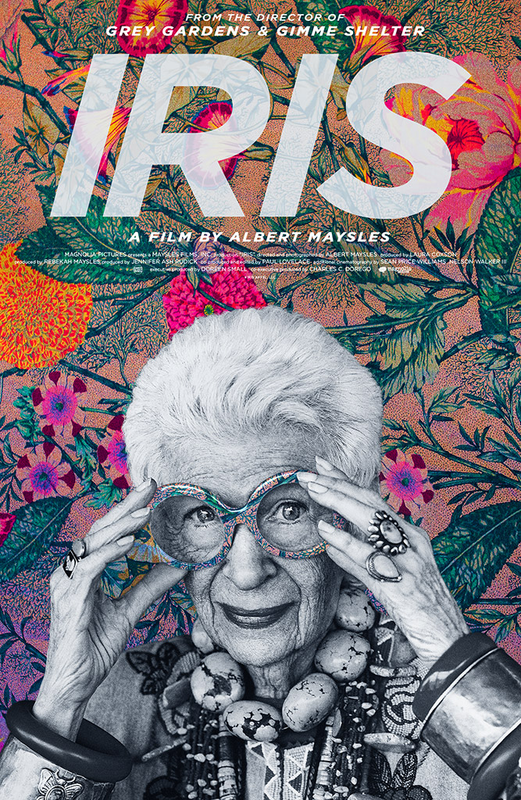 At the time of filming, legendary 87 year old documentarian, Albert Maysles, filmed Iris and her husband Carl (age 101). He not only filmed a film about fashion, he filmed a film about creativity, how a free-spirited woman continues to inspire and a true love story. 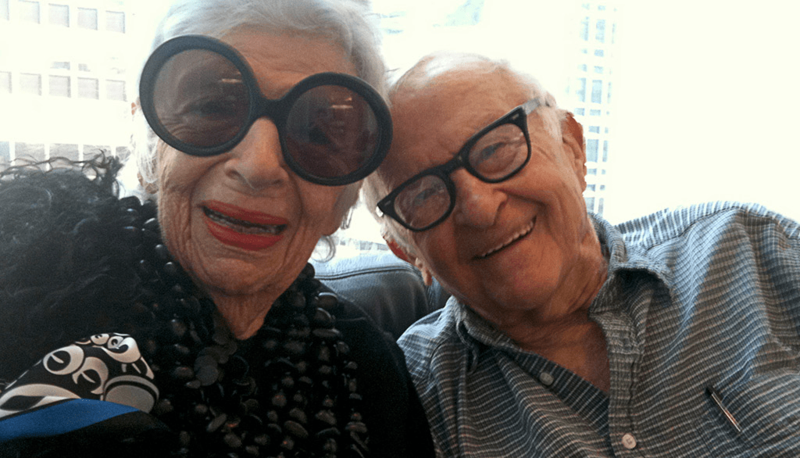 Albert recently passed on March 5th at the age of 89, but his story telling lives on with Iris. 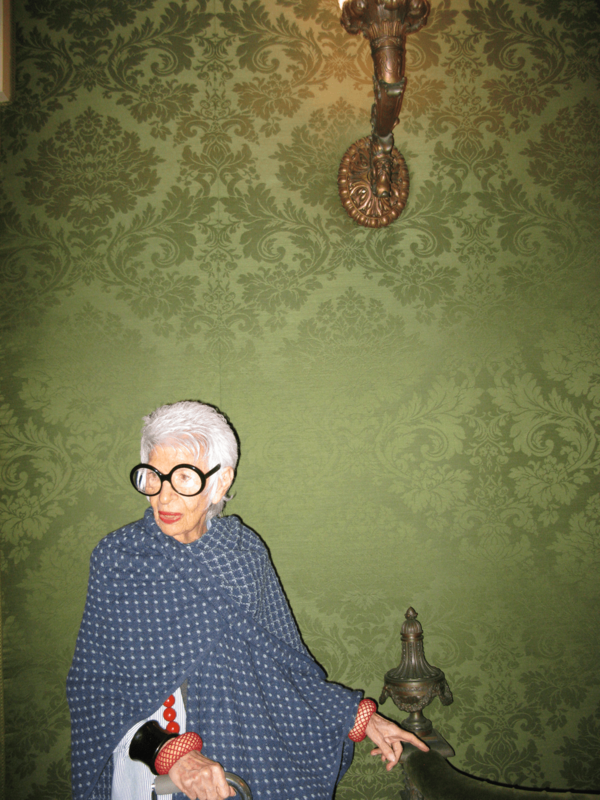 Iris grew up during the Great Depression, founded Old World Weavers – an interior design firm and textile company that decorated the White House under nine sitting US presidents, traveled the world, became a fashion icon in her 80s, has one of the biggest couture costume jewelry collections, etc… She was also the first woman to wear blue jeans! She’s a very insightful woman because she doesn’t judge what people wear. She feels people should express themselves how they want. 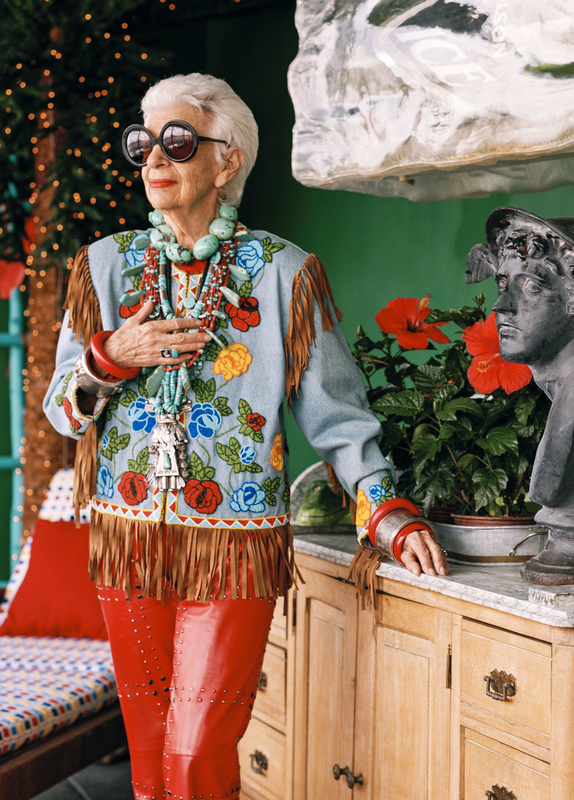 “It’s better to be happy then well dressed.” Well said Iris. She doesn’t follow rules because she would break them anyway. A young Mrs. Loehmann (Founder of Loehmann’s) once told Iris that she isn’t pretty, but it shouldn’t matter because you have something better, you have style. She expresses herself through her personal style and this makes her unique. Hidden underneath all the fashion, there’s an underlining love story between Iris and Carl. Their relationship is inspiring and you truly feel their love for one another in the film. I may have cried during some of the parts because they truly love each other to this day and support one another in all aspects of their lives together. I don’t want to say too much else about the film other than you should definitely go see it! It opens at the Music Box this Friday.